Metal Artefact Reduction in Complex Imaging. 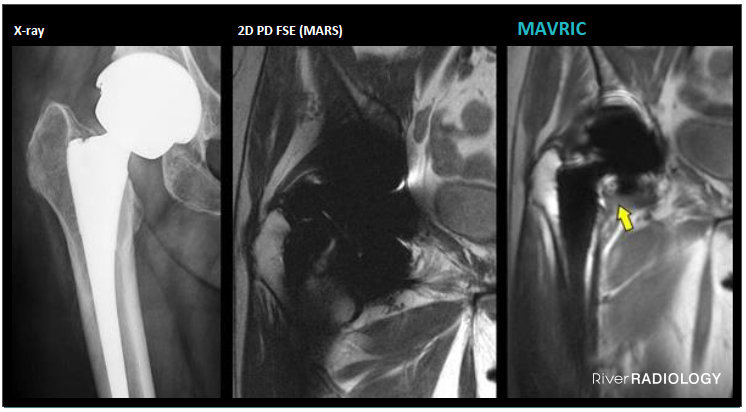 Patients with metallic orthopaedic implants can be difficult to image adequately with either MR or CT. It is often frustrating not to be able to see early signs of bony union close to a fixing plate or screw. Metal artefact on MR often complicates assessment of possible bone or soft tissue infection or fracture about total joint replacements. Our answer for the awful star-like metal artefacts shown on CT scans is our state-of-the-art NewTom Cone Beam CT which is set up with remarkable software that markedly reduces metal artifact. The NewTom gives exquisite high definition bone detail, with resolution down to 200 microns and bone usually well shown right down to the bone/metal interface. 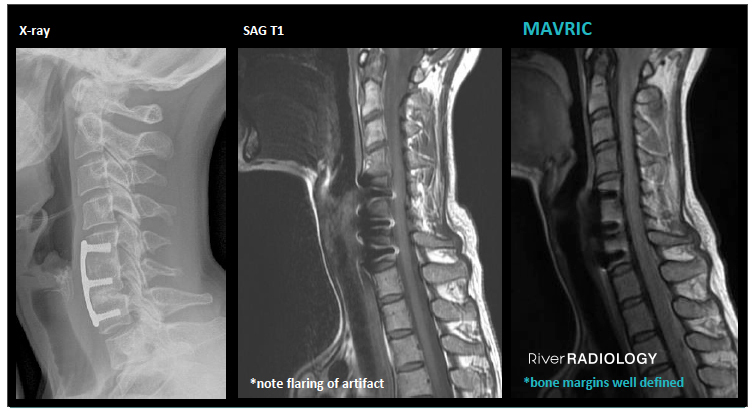 MAVRIC is a new MRI technique that improves imaging of soft tissue and bone in patients with metal joint implants. It helps reduce artifacts caused by the presence of metal in both in-plane and through-plane dimensions compared to conventional MR techniques. On regular sequences, metal implants cause severe distortion, making it impossible to assess the soft tissue directly around the implant. 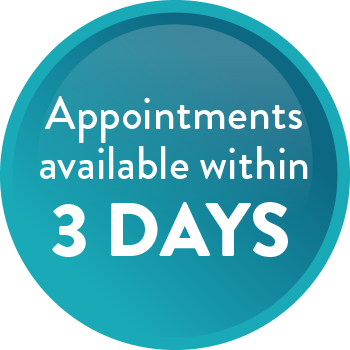 MAVRIC allows for MRI to be used to monitor for adverse reactions, such as inflammation, in the immediate vicinity of the implant.